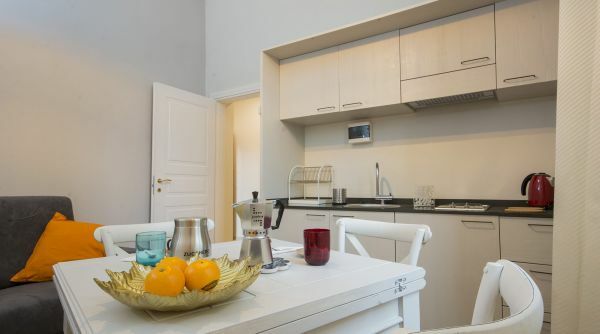 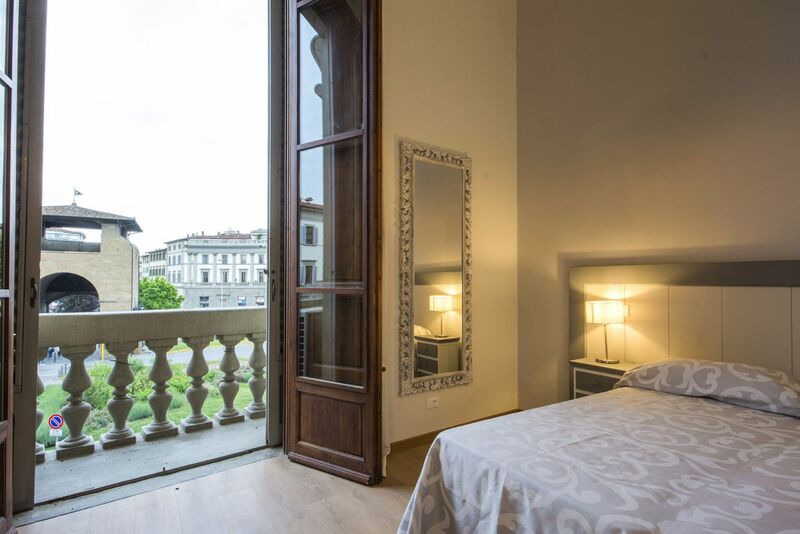 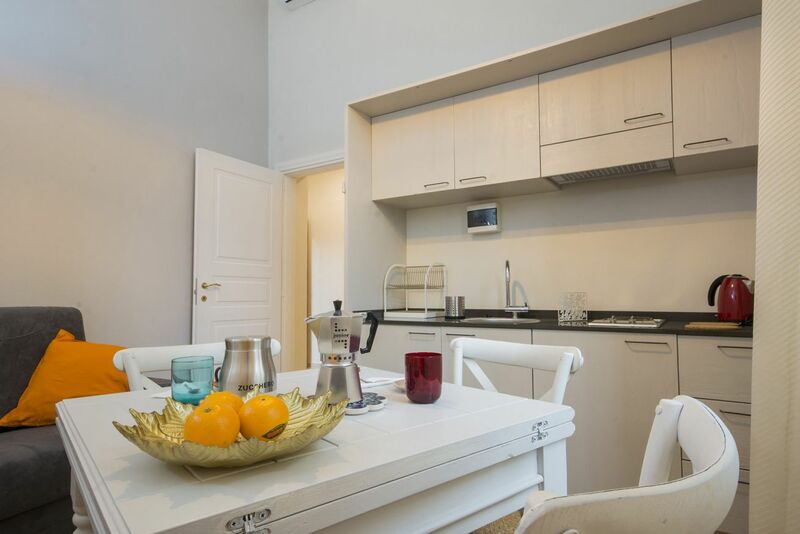 Iris 1B as the apartment IRIS 1 overlooks the beauty piazza Beccaria along the boulevards which surround the historic centre of Florence. 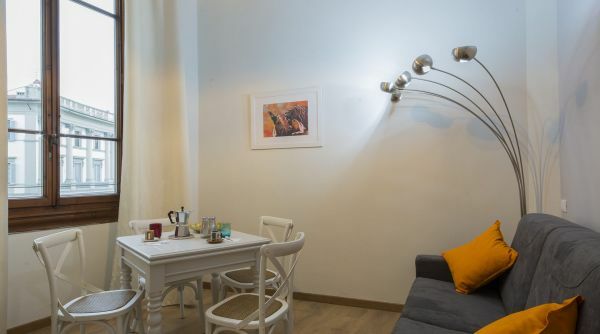 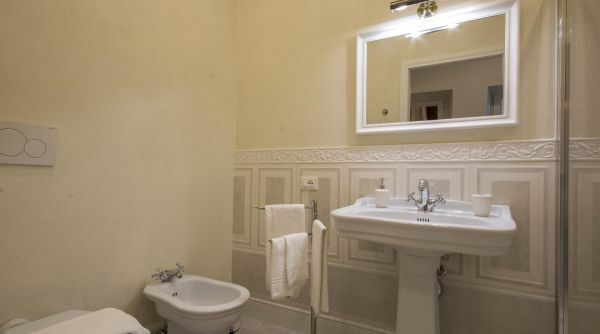 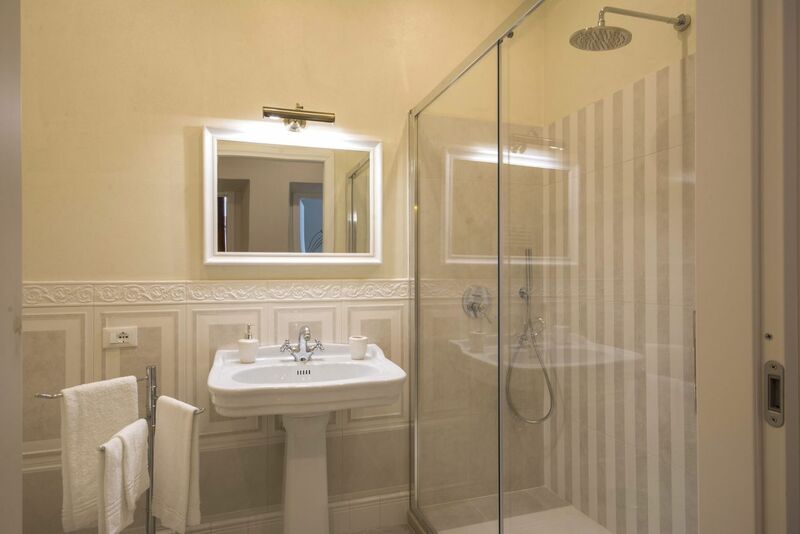 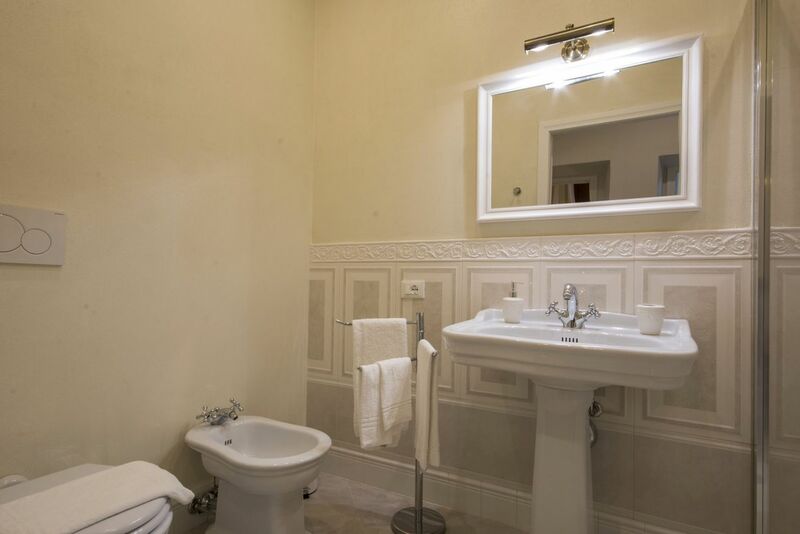 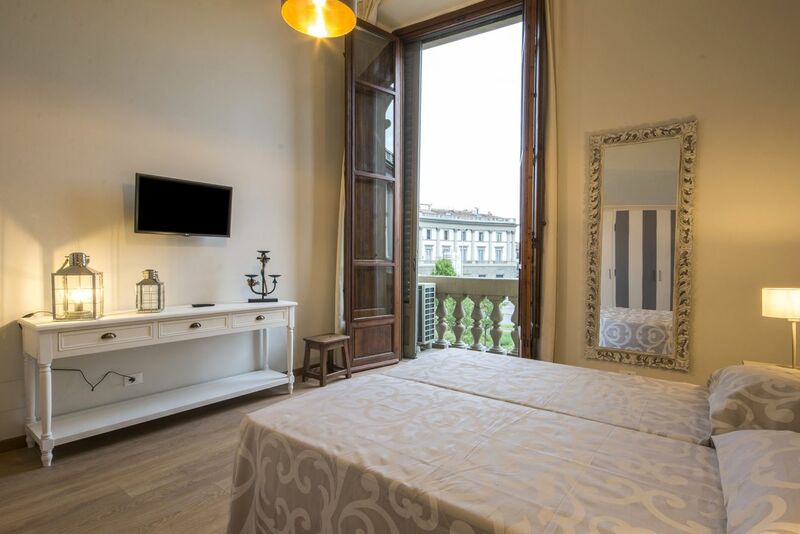 Located in a beautiful palace with elevator, the apartment is very bright and elegant. 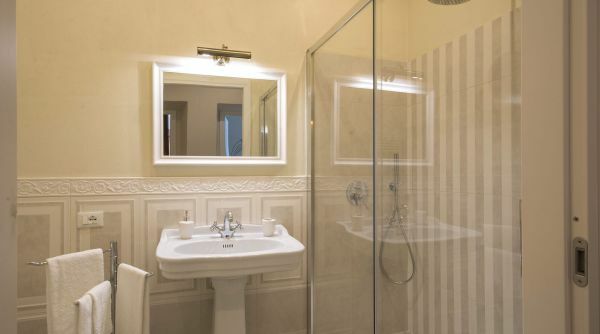 The property was recently renovated and can comfortably host up to 4 people. 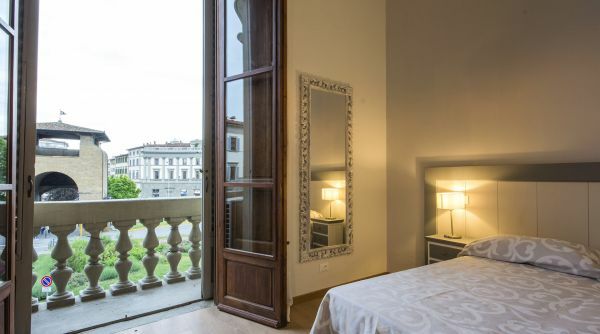 Easy to reach by car, from here you can move in the direction of all the main monuments on foot, it takes only 10 or 15 minutes ti get to Duomo or near Ponte Vecchio. 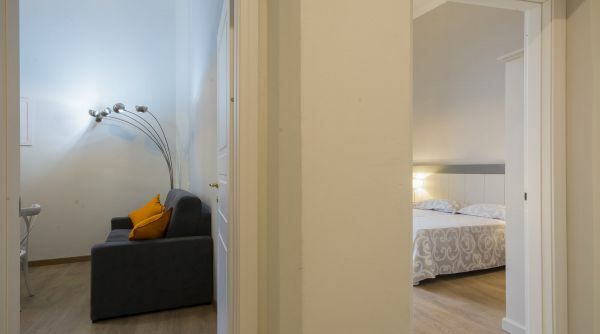 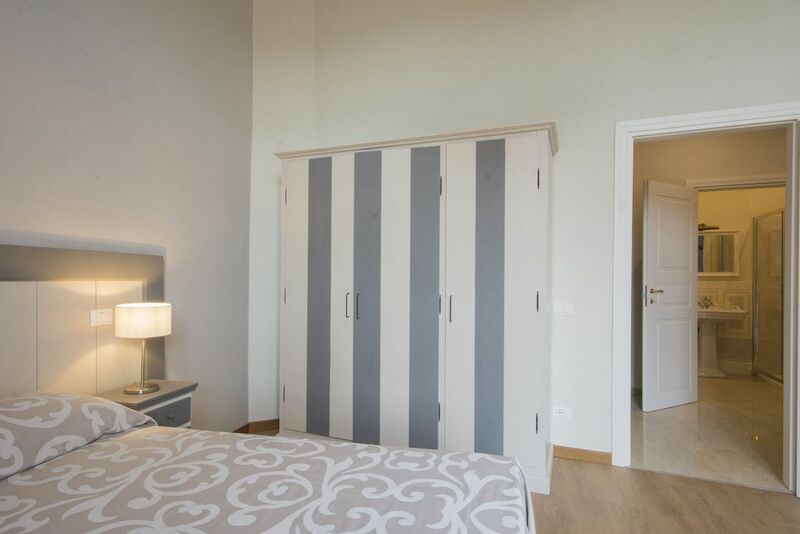 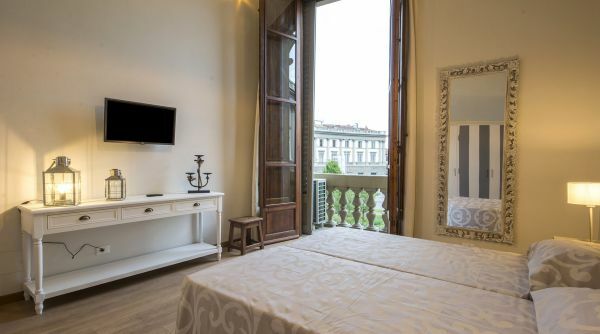 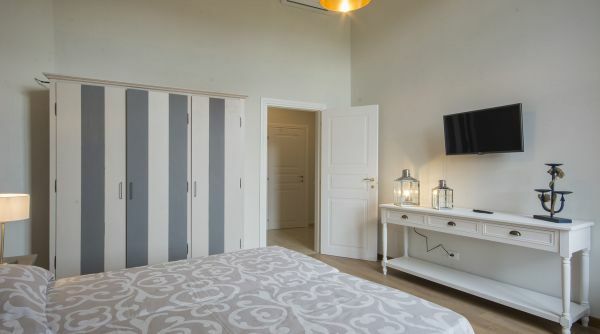 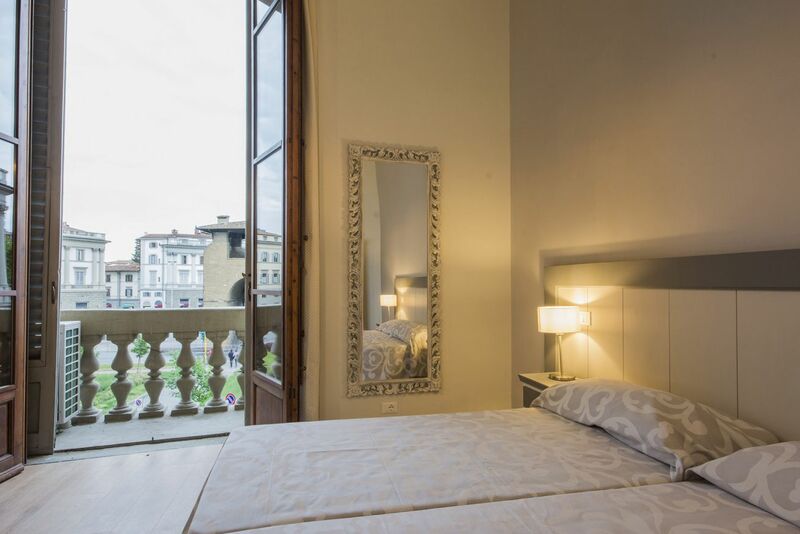 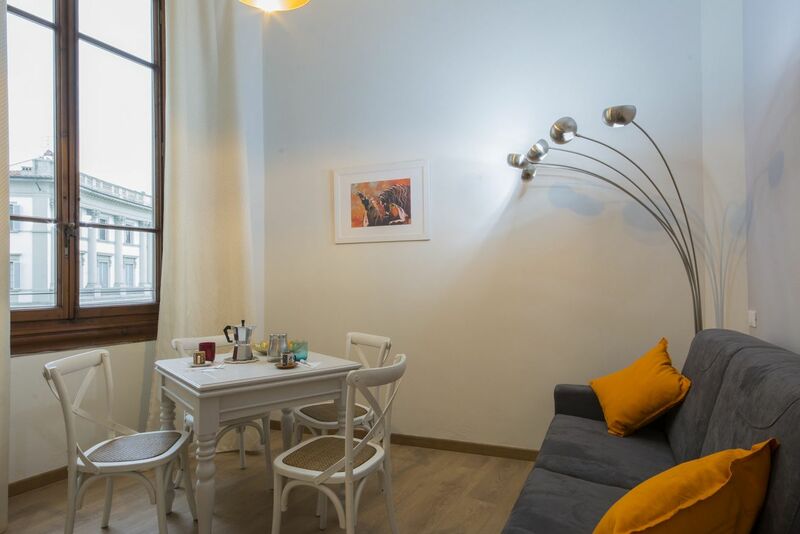 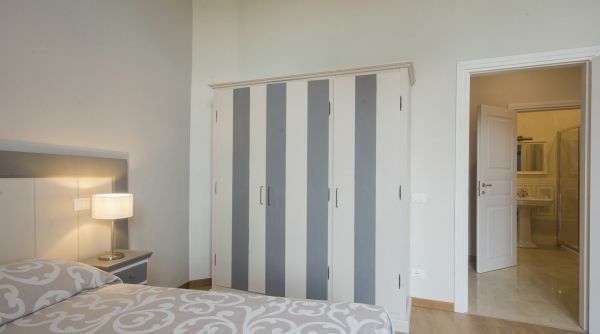 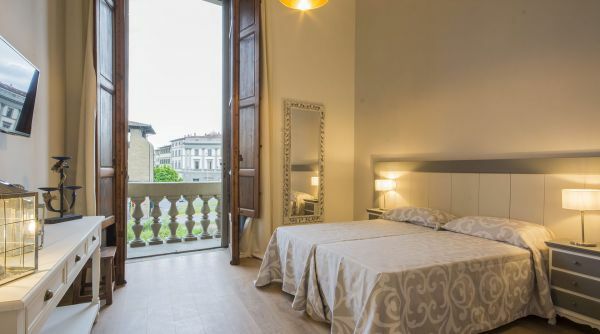 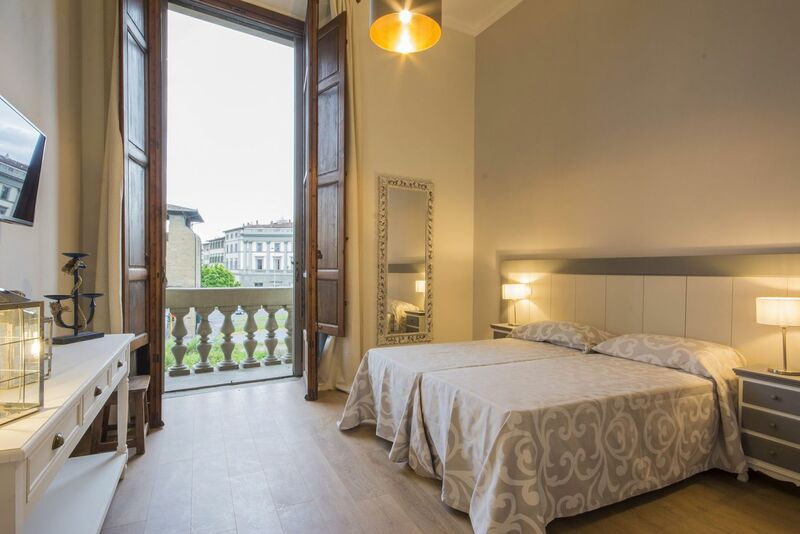 IRIS 1B consists of a beutiful double bedroom with view on the imposing Porta alla Croce which was part of the ancient medieval city walls, a complete bathroom with shower and a wide living area with kitchen and double sofa bed. 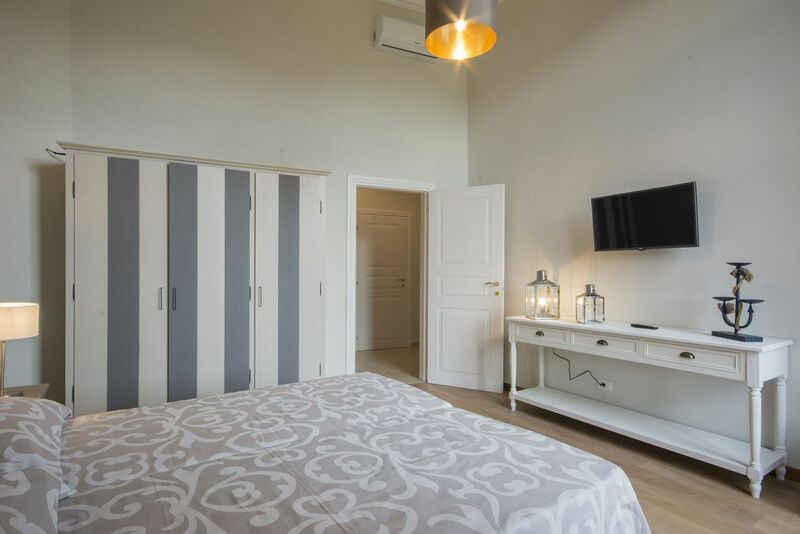 The property has the elevator, a terrace, internet access with Wi-Fi, airi conditioning and independent heating: ideal both for a family and for a group of firends. 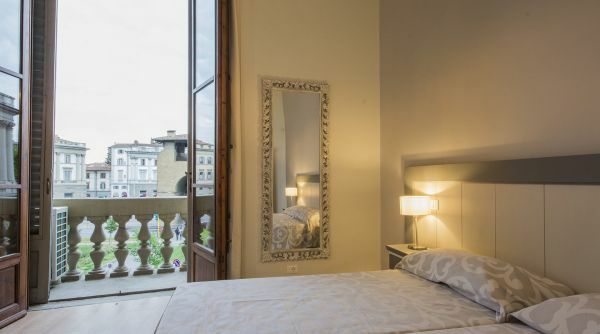 Overlooking the beautiful piazza Beccaria in Florence, at the edge of the historic centre, the apartment IRIS 1B is an excellent starting point for who want to visit the city centre and all its main points of interest as the Duomo, Ponte Vecchio or the Uffizi Gallery: all these monuments can be reached by foot in 10 or 15 minutes. 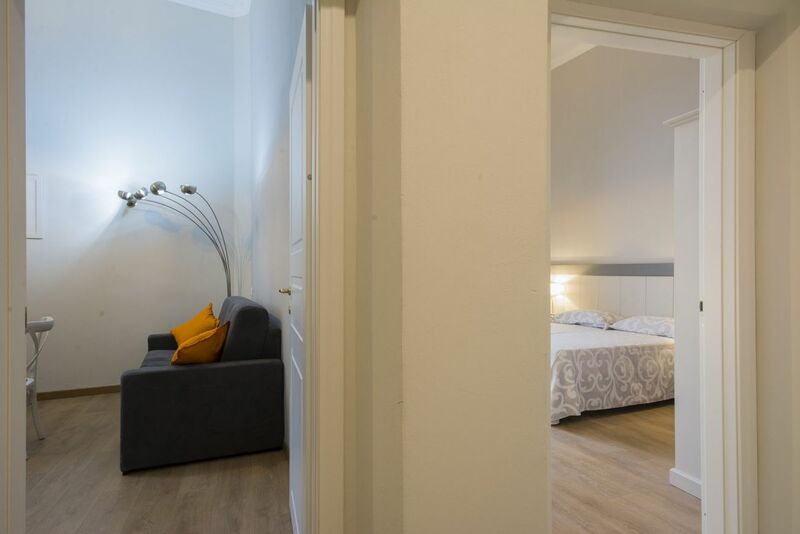 Being at the edge of the downtown, it is not subject to the restricted traffic zone, therefore the House is easily accessible by car.